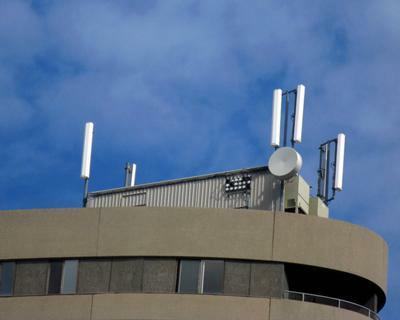 6 Mike antennas (Telus Mobility) are located on the eastern corner of the Kenwick building in downtown Sarnia, Ontario. This site is really close with the US border so the panels are only pointed towards Canada. Great quality shot, thanks for the post! !